As per the new plans of the UK government, international students can apply to transfer from Tier 4 visas to Tier 2 skilled worker visas within Britain easily. They can do this soon after they finish their courses and not wait until they get a confirmation that they have graduated. Highlighted in Budget documents, which were published on 22 November, the plans are an initiative to ‘make the UK more welcoming.’ But before that, the employer must get a Tier 2 Sponsorship Licence to hire students under the Tier 2 Visa scheme. Workpermit.com was quoted as saying that post 29 March 2019 when Brexit is slated to happen, it will probably be more difficult for nationals of the EU and EEA (European Economic Area) to arrive in the UK to work, implying that there is a strong possibility of growth in demand for international skilled workers. This will make it easier to employ international students having tier 2 visas, which will benefit employers as well as holders of tier 4 student visas, it said. Beginning from Spring 2018, in all probability, Tier 4 students will not need to show that they have cleared their examinations before they are in a position to shift to Tier 2 visas. After the Tier 1 Post Study Work visa scheme expired on 6 April 2012, it has become very tough for students holding Tier 4 visas to stay on in Britain and work. Tackling the Tier 2 visa scheme is tough as red tape is involved. Right now, many Tier 4 student visa holders are not able to shift to a Tier 2 General visa because they have not graduated yet and their Tier 4 visas are nearing expiry date. Such a scenario warrants employers with a Tier 2 Sponsorship Licence to fill up completely the resident labour market test to get Tier 2 visas. They then need to wait for twenty-eight days to demonstrate that they are unable to find a suitable candidate in the local labour market to fill that position. Following that, the employer would be required to get a Restricted Certificate of Sponsorship which takes over 30 days to be obtained and is tougher to get than an Unrestricted Certificate of Sponsorship – needed for shifting to a Tier 2 visa from a Tier 4 visa. Moreover, the employer will need to shell out the higher experienced worker rate which is a minimum of £30,000 per year and pay a minimum £364 per year, or £1,000 per year as the immigration skills charge for bigger business houses. After the process is complete, the holders of Tier 4 visas will be required to return to their home country to be eligible for applying for a Tier 2 visa, adds the website. Amber Rudd Home Secretary by mulling extension of a pilot scheme that made visa rules easier for students applying at the universities of Cambridge, Bath and Oxford and Imperial College London for master’s courses. Published by the Treasury Department, the official Autumn Budget, 2017 declared that the government will modify immigration rules of the UK to allow world-class researchers and scientists who are certified under the Tier 1 (Exceptional Talent) route to apply after three years for settlement. It also states that the process will be hastened for gifted students to apply for working in the UK after completing their degrees by reducing bureaucratic hurdles to recruit foreign researchers and established research teams members by easing the labour market test and letting research councils of the UK and other chosen organisations to sponsor researchers. These relaxed regulations will make it possible for foreign students to transfer to a Tier 2 visa as soon as they complete their studies. The current legislation, however, mandates students to wait till they can prove that they have passed in the exams. It is believed that this change was an outcome of the pressure of universities conveying to the Home Office that rules, which exist now, make it quite tough for master’s students as they are mostly told to wait for several months after completing their course to be awarded a degree. Hailing the changes, the Universities UK issued a statement terming them as a step forward for hiring staff as well as to hasten the process for students to shift to post-study work. It said that in the coming months, they would want to see the government to take a step further and move to a committed strategy for increasing numbers of international students. 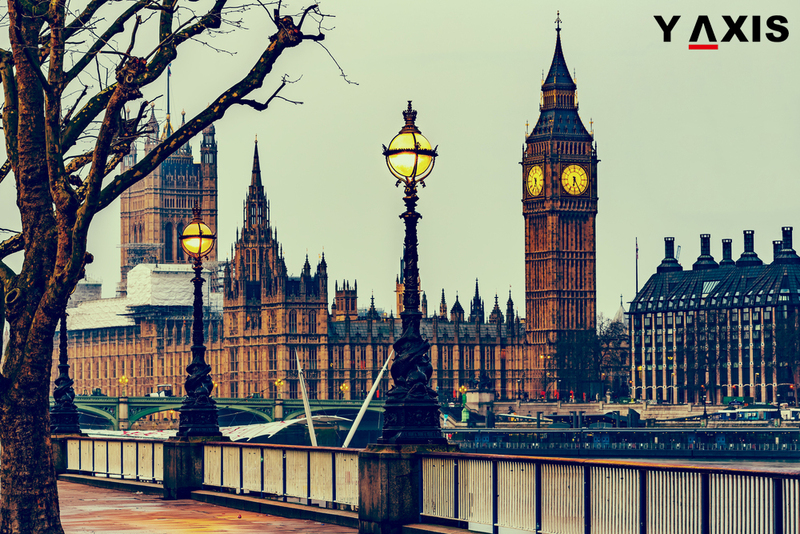 If you are looking to work or study in the UK, get in touch with Y-Axis, a leading consultancy for immigration services, to apply for a visa.